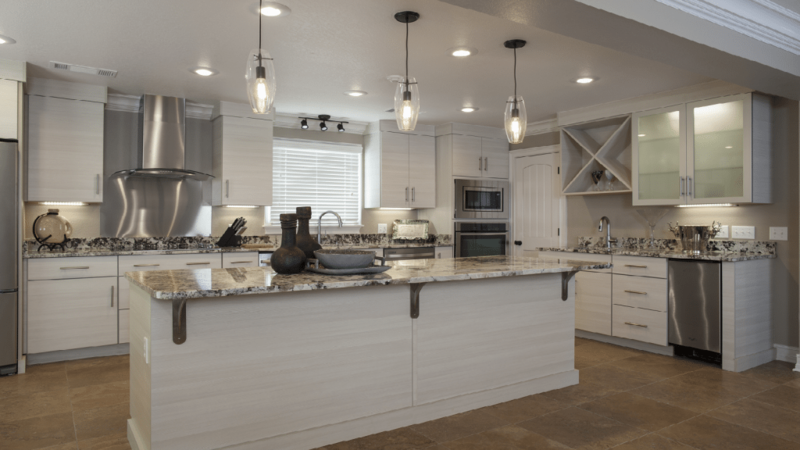 When your kitchen remodeling project begins, there are many things to consider. What do you want your kitchen to look like? Where will you live during the construction? When will the project be completed? All these questions, along with some others, contribute to the final cost of your project. Minimize that number by following five simple steps. Plan how you will pay. If you do these five things, you may pay less for the kitchen of your dreams. Learn more about how to follow these steps and minimize the cost of your project. The first part of kitchen remodeling is to determine what is most important to you. Make a list of the most important things, followed by things you would like to do that are not essential. At the bottom of the list, write down your dream changes and alterations. Next, decide on a budget that allows you to accomplish at least the top part of the list. Be realistic about what you can pay for with the money you set aside. Consider labor and installation costs, appliance purchases, etc. Leave some space in your budget for surprises to alter your plan. Know how you will pay for the project before you start work. Will you pay in cash, through a home equity loan, by refinancing a loan, or some other method? Calculate interest into your budget if you plan to take out a loan. Save money on your kitchen remodel by living in your home while the work is being done. Set up a temporary kitchen in your house and plan easy meals. Microwaveable food can be very helpful during the construction. The most important tip is to hire an expert. A professional has the knowledge and experience necessary to make your goal a success. Minimize the cost of your kitchen remodeling by hiring a skilled home renovation contractor.